For Fiona Groom painting has been an evolutionary process, however the opportunity to paint did not present itself until the early 2000’s when she enrolled in a local Tafe course and from there a succession of completed studies ensued including Certificate II Visual Arts and Diploma of Visual Arts (Fine Arts) at Cooloola Sunshine Institute of Tafe, furthermore 2015 saw Fiona finish a Fine Arts Degree with Curtin University. During this timeFiona Groom had the opportunity to exhibit work in a variety of local Galleries as well as co-coordinating a couple of local art shows and in addition to that show her paintings in a range of exhibitions and competitions throughout Queensland, interstate and most recently, an exhibition in Florence Italy.Fiona Groom has held the position of Gallery Curator at Yandina Historic House for a number of years, giving her the chance to work with other Artists, organize and present artwork and become involved in a variety of local community events. Additionally Fiona has had the good fortune to organize and run several children’s art workshops, and implement some art projects in a local primary school. 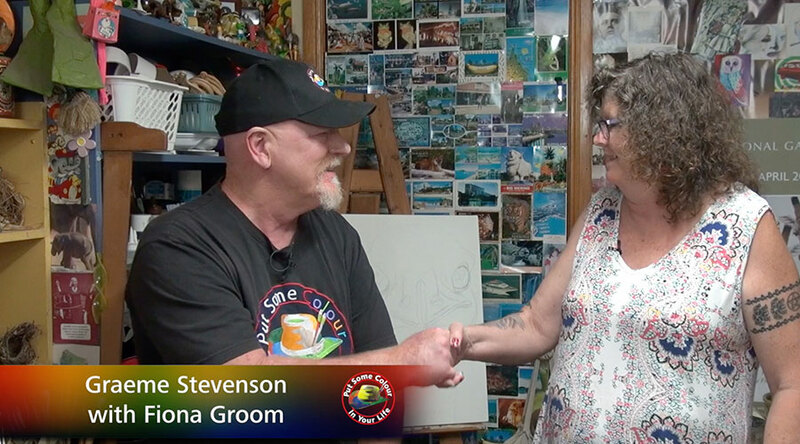 It is all these artistic opportunities that have helped her gain a better understanding of art making and in doing so have given her the direction and inspiration that she has needed. As long as Fiona can remember she has had a keen interest in animals and art. Drawing, tracing and cutting out pictures was an important pastime when she was young, and as the years past her interest grew and finally evolved into the arts practice she has today. Describing Fiona’s work is easy it’s always been traditional realism and the natural world. For Fiona Groom the animal kingdom is the driving force behind her art as she loves to delve into the diversity of animal life. Fiona’s intention is to capture her subject’s character and expression, incorporating their humour, their majesty and wonder, and as a result, the painting then tells its own story.